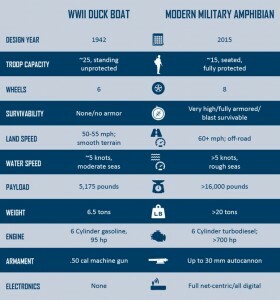 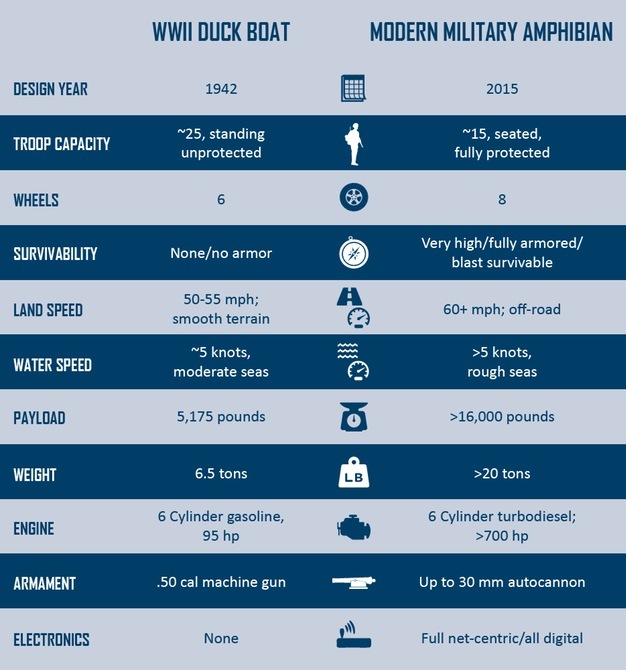 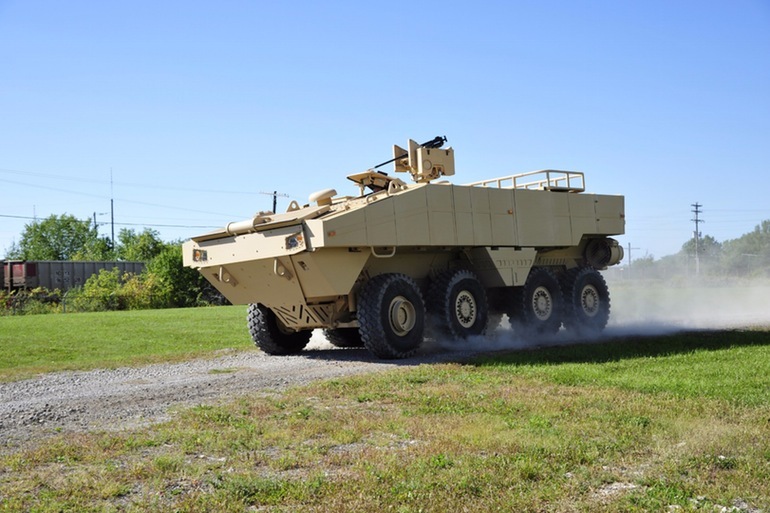 Lockheed Martin debuted its new amphibious assault vehicle, the ACV 1.1, in a bid to replace the 40-year-old fleet of amphibious assault vehicles the US Marine Corps currently operates. 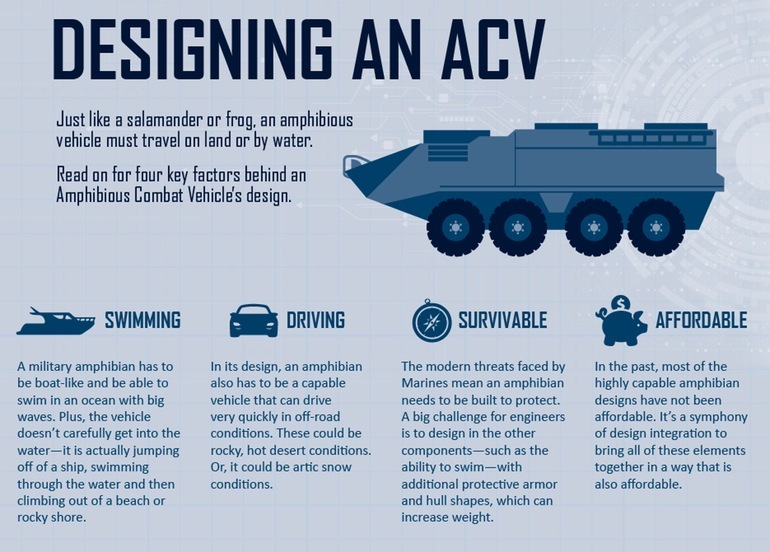 The ACV 1.1 is an eight-wheel-drive armored beast capable of hauling up to 13 marines over land or water, built to be modular, easily upgradable, use off-the-shelf parts, and be compatible with other vehicles. Lockheed’s new vehicle weighs over 20 tons and is powered by a 700 bhp six-cylinder turbodiesel engine, in addition to being able to over 16,000 lb (7,200 kg) of payload. 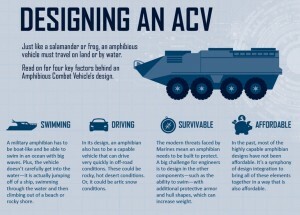 Automated systems aboard the ACV 1.1 are what Lockheed Martin believes will separate its vehicle from other amphibious assault vehicles, including an autopilot for sea mode.